Excessive alcohol consumption is not good for our body. Too much alcohol drunk too often may easily lead to serious health deterioration. One of the worst signs of alcohol overindulgence is throwing up blood after getting intoxicated. This condition is quite severe and serves as a proof of internal organ damage. Therefore, once you experience blood while throwing up, and you know you have been drinking more than you should lately, know that it is high time you stopped. This is a red-light alert sign your body gives you, warning you that continuing this action may easily cause numerous additional health problems. Quite simply, excessive alcohol consumption is the main reason behind throwing up blood. Therefore, upon noticing blood in your vomit, knowing that your drinking has got out of control recently, rest assured that the two situations are connected. This phenomenon happens in a specific manner. Namely, throwing up blood due to excessive alcohol consumption is accompanied by numerous side effects. Basically, heartburn, abdominal pain and pain during bowel movement often go hand-in-hand with this condition. Additionally, the blood may be a good indicator of the severity behind this illness. Darker colors of the blood are not a good sign and they usually involve a more serious illness, only emphasizing the necessity of seeking medical assistance. On the other hand, lighter and brighter blood present while throwing up is mostly connected with drinking too much alcohol and is mostly treated by alcohol abstinence. Throwing up blood means that some of your gastrointestinal organs are injured due to overexposure to alcohol. Thus, you might be having a rupture somewhere inside the upper gastrointestinal tract, or, perhaps, a bleeding ulcer. Alternatively, advanced stages of liver cirrhosis are known to cause this condition as well. Whichever the cause might be, bleeding of this sort should be treated immediately. Do not rely on over-the-counter painkillers as these are known to be capable of making things even worse. Alcohol-free body is a healthy body. 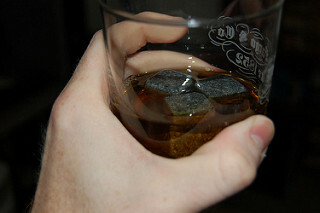 Sober people get on well with their family, friends and coworkers, when compared to those who drink on a regular basis. Those who quit drinking begin to honor themselves as a more valuable person, realize the worthiness of their own life and are able to reach out to others more easily. Additionally, the money which would be otherwise wasted on alcohol provides means for financing your new, healthy beginnings, once you quit drinking. Bear in mind that alcohol leads to development of cirrhosis, various heart problems, sexual problems, cancer, pancreas damage and many other conditions. If that is not motivational enough, the blood you are throwing up can definitely be a strong reason for your quitting. However, if you are not able to stop drinking even when you start throwing up blood, you need to get professional help from your doctor. Upon paying your doctor a visit, give him or her careful insight into your condition. Do not skip some important pieces of information since you may prolong adequate treatment this way. After knowing what to look for, the doctor will try to find the reason behind your internal bleeding. Then, he or she will prescribe the best possible treatment. During the recovery period, you must obey your doctor's instructions at all time. Also, you are not allowed to drink alcohol at all costs since any treatment is futile if you have not removed the main cause of the problem. Therefore, take good care of yourself, remove alcohol from your life if you are not able to control your intake of it, and go through with the therapy without skipping anything. After quitting drinking, you will stop throwing up blood, regain your normal appetite, muscle tone and the overall health. There are other, alternative ways of seeking help, if you cannot control your alcohol indulgence. Namely, you can undergo rehabilitation. If you get involved in a rehabilitation program, you will probably need to stay hospitalized until your alcohol dependency can be cured through therapy, medications and various forms of psychotherapy and counseling. Furthermore, hospitalization will increase the chances of finding proper treatment for the blood you are throwing up, regardless if your alcoholism or something else is causing the phenomenon. Alternatively, you can quit alcohol by joining an anonymous alcoholic support group where you can share your problems and experiences with other people who walk in your shoes. All in all, throwing up blood is a condition which should never be taken lightly. Rather, you are advised not to ignore this occurrence but seek medical assistance timely, preventing your health condition from getting worse. If you are not a frequent heavy drinker, the appearance of blood, along with vomiting is a reason for concern, even after a single night of drinking. Thus, make sure you are healthy and safe by contacting your doctor.